If you love automobiles, motorcycles, touring, car rallies, auto auctions, racing and/or memorabilia the PBSCC is the club for you. 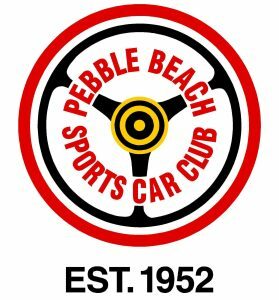 Established in 1952 the PBSCC is one of the oldest car clubs in North America and the oldest continuous automotive club in the USA. The club has been an influential part of the Monterey Peninsula with over 50 years of participation in the world of all things automotive. The club is actively involved in all aspects of motoring and all forms of automobile appreciation. We have car collectors, restoration experts, touring activities and of course a long history with some of the most famous names in racing. Our membership includes young folks just starting out pursing their desires to become one of the established super stars of the automobile world. Our members span the USA and PBSCC boasts a large number of international members too. The unique aspect of our club is you only need to have a passion for the sound of an engine or the art of automotive design. In other words, unlike the Porsche or Ferrari Clubs of the world, we do not require you to own anything and membership costs less than many people spend on coffee for a week. Feel free to browse and check us out. Membership is easy, download the form and send it in! If you have any questions go to the links on the adjacent panel on this page and drop us a line. Click on the link for an application: Become a Member!